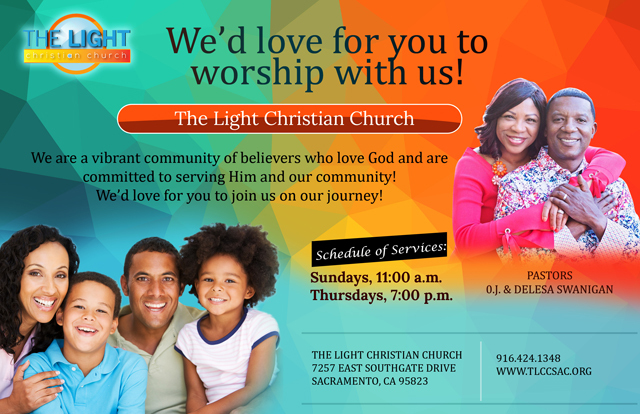 Thank you visiting The Light Christian Church's website. Please explore our site and, if you have any additional questions, feel free to contact us at info@tlccsac.org or 916.424.1348. ©2013 - 2014 The Light Christian Church - All Rights Reserved.